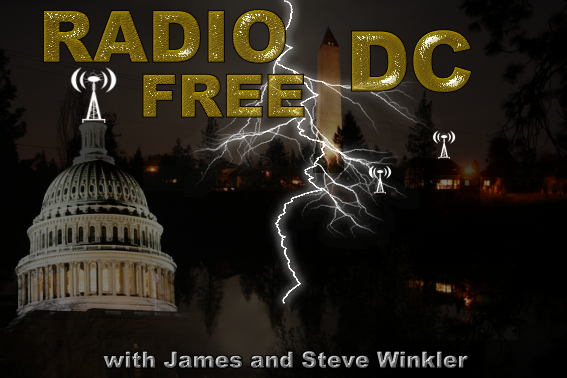 Radio Free DC is a listener-supported underground program all about the music, entertainment, historic, and hottest happenings in-and-around the Nation’s Capitol. We represent DC-MD-VA with a wide range of showcase entertainment, music, news, and more. Featuring homegrown, untapped talent and venues, eclectic sounds, ethnic vibes, unplugged interviews with famous and future DC artists, as well as exciting information and events you won’t hear about anywhere else! Jim Jamie James Winkler is the founder of CAP Enterprises: a local PR Management and Real Estate Development Firm. He's been a native of DC since the 60's. Read all about it: His company CAP Enterprises was recently featured in Forbes Magazine. Jamie likes pretty much all music, except industrial urban polka, but he has a special affinity for the untapped talent of Washington DC (and vicinity). Although his music tastes are somewhat eclectic in nature, he most resonates with classic rock. But DC has a rich and diverse musical history just itching to be scratched... it’s what, among other things, Jamie and Steve Winkler are here to promote on their show. Steve Winkler (Jamie’s cousin) plays multiple instruments and has an AA in music. He plays guitar in the band Cry Ice, and has played with such notable Messianic Jewish artists as Joel Chernoff (Lamb), Marc Chopinsky, and Rene Bloch (Israel’s Hope). Currently Steve is finishing his Bachelor’s degree in Jewish studies, and is involved in a startup Messianic ministry called “Moked” which is Hebrew for epicenter.